Precision Measurements, Inc. established in Atlanta Georgia in 1987, has built a strong reputation, client base and product selection within the Industrial Marketplace. PMI's Thermocouples, RTDs, Connector Systems, Wire and Cable, Instrumentation, etc. 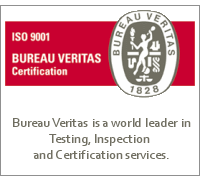 are constructed from the highest quality components available. We are dedicated to providing you with the equipment which meets your precise application requirements while maintaining our best possible delivery and competitive pricing. Precision Measurements manufactures a complete line of Thermocouples and Resistance Temperature Sensors for Chemical, Power, Primary Metals and Plastics Industries. We also offer connectors and jack panels for Thermocouples and Resistance Temperature Sensors, a full line of Instrumentation, and Thermocouple and Instrument Wire and Cable. 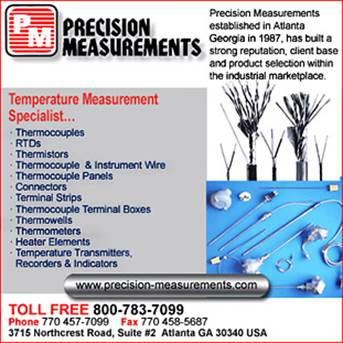 Precision Measurements, Inc. was established in Atlanta Georgia in 1987.
built a strong reputation, client base and product selection within the Industrial Marketplace. PMI's Thermocouples, RTDs, Connector Systems, Wire & Cable, Instrumentation, and other projects are constructed from the highest quality components available. We are dedicated to providing you with the equipment which meets your precise application requirements while maintaining our best possible delivery and lowest cost.